Tooth bonding, also known as dental bonding, is used by Dr. Muradian our Simi Valley dentist in order to improve imperfections like decayed, chipped or fractured teeth among other unappealing tooth conditions. Our cosmetic dentist used the finest materials and latest technology in dental bonding in order to ensure exceptional, natural-looking results. What does the bonding procedure consist of? During the dental bonding procedure, our Simi Valley dentist will use a composite resin paste that will match surrounding teeth color and texture for an all natural look. This paste is then placed on the surface of the tooth that is being repaired to improve imperfections like decay or discoloration. Several layers are needed occasionally to ensure strength and stability. Our dentist will then permanently bond the material to the tooth, which is why it is called dental bonding. The most notable difference between bonding and porcelain veneers is that dental bonding can be completed in just one visit to our Simi Valley office. Porcelain veneers must be constructed in a lab, which in turn can take a few visits. 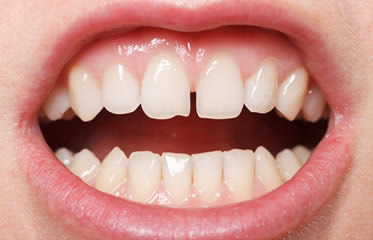 Additionally, porcelain veneers are used by our dentist to correct more severe forms of tooth decay or imperfections. Depending on the current condition of your teeth, our Simi Valley dentist, Dr. Muradian, may recommend dental bonding as a treatment option. Bonding is generally less expensive than porcelain veneers are can be used to correct the same issues. Additionally, it can be accomplished in just one visit to our dental office! Call us today to schedule an appointment to find out if bonding is right for you. Let us help you get on the right track to getting the smile you’ve always wanted. Get a Smile Makeover with Simple Whitening, Bonding or Veneers!